Children with cancer. Young people whose lives were taken by horrible accidents, senseless violence, or grave illnesses. Mothers who have died after difficult childbirths, and so on. This is not to say that my father’s illness isn’t a big deal. At this very moment, it pains me to see him going through bouts of discomfort (but no pain, thank goodness). But knowing that, save for the past two weeks since he suffered a fall and hip fracture, it’s important for me to recall, and remind others, that he has lived a pretty wonderful and full 71 years, and he may continue to do so, albeit with some changes (such as a feeding tube). My dad with me and my brother, Rich, in Wildwood, NJ. Thanksgiving eve in 2011 (?) 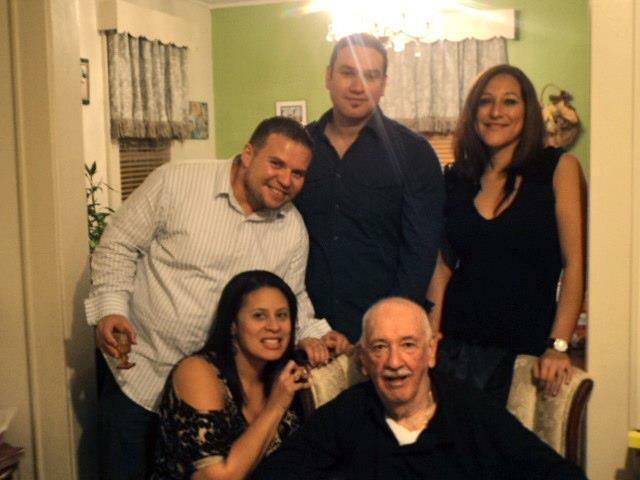 with my cousin, Maria, her husband, Gonzalo, and my brother, Richard. Hanging out with my brother, Richard, and my dad, as usual! 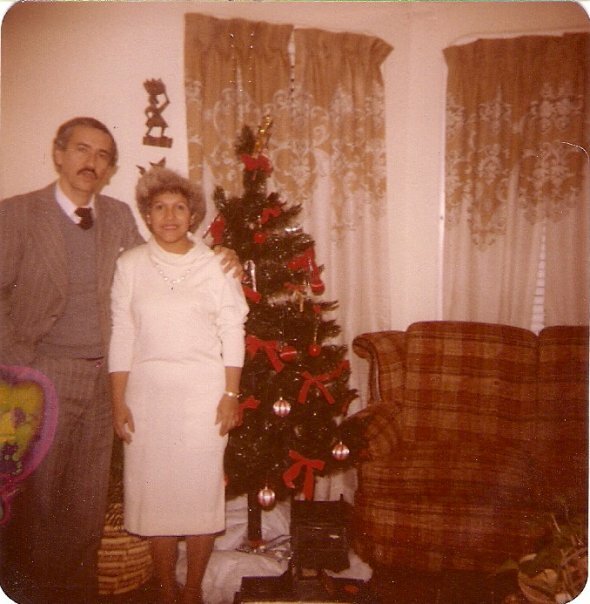 Mom and dad by the Christmas tree at their first home in Paterson, NJ. This was a big accomplishment for them. They wanted us to grow up in a house they owned. Don’t get me wrong, this is, without a doubt, the most incredibly difficult thing I’ve ever experienced in my life. But this isn’t about me. This is about the man who raised me and how I choose to remember, celebrate, and even laugh, about the way he was. The countless time he played music from his beloved Colombian coast. It taught us such an appreciation for our parents’ home country. 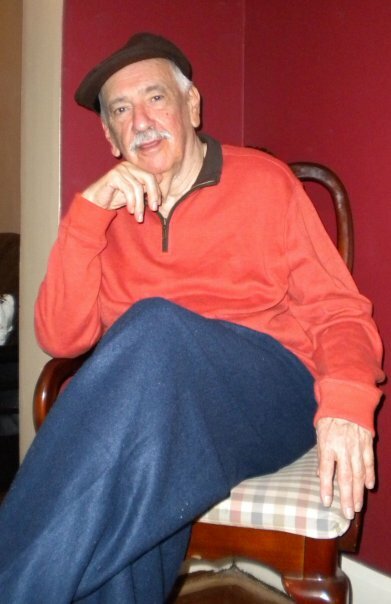 The times he taught me to dance salsa and shimmy my shoulders along to various Colombian songs. The jovial attitude he had with my friends, from making Kimberly laugh on our way to school (he often drove us), the joking around with Judy and Sibila after church, to actually going to happy hour (!!!) with Ysa, Barbara, and Melinda when they all worked part-time at Home Depot. The jokes he always told among his and my mother’s family and friends. He consistently had his audience in stitches! The time he and my ex-husband, Dave, grabbed pineapples off of the swim-up bar in Cancun and posed for a silly picture. The way he enlisted my little brother, David, for various fixer-up projects around the house. It made David very good at carpentry and things. 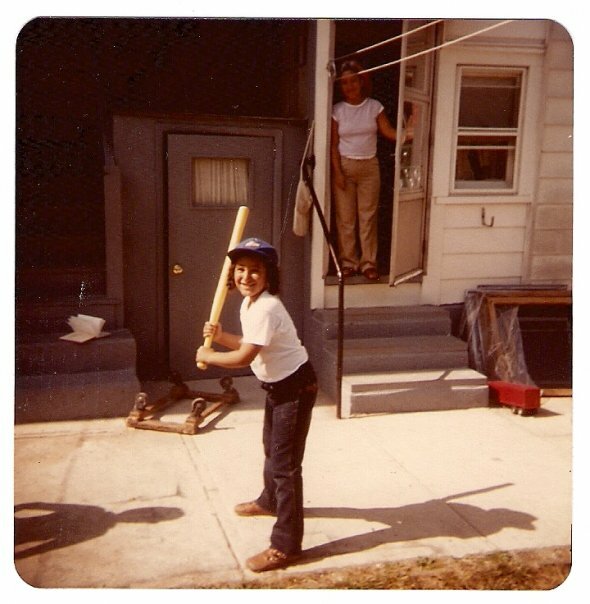 The way he and my mom proudly bought his first home for us in Paterson, NJ, and later, their second home in Clifton, NJ. The way he made sure to take us on a vacation on more than a few summers, even though it was right in state, since it was all we could afford: a full week in Wildwood, NJ. It was heaven! 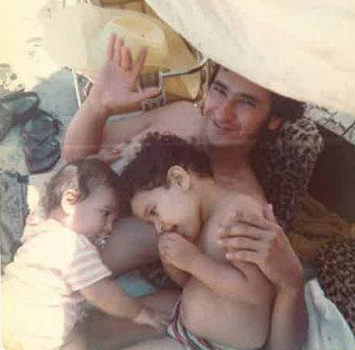 My dad loved to swim and he spent hours in the ocean with us. The way he and my mom tried so many ‘firsts’ with their first-born, Richard. From karate classes to Boy Scouts, Richard was their first-generation dream realized. The way he always talked a mile a minute in between his full and part-time job, or on his lunch break, going over his never ending to-do list. The way he preferred to drive home for lunch, because he always preferred my mother’s cooking to anything else. The way he had sheer pride in my mother. He always bragged about how beautiful she was when he met her on a bus in Barranquilla, Colombia, and how beautiful she was every day. The way he loved his two sisters, “as elegant as they are beautiful,” he’d say, and he felt the same way about all of his nieces. The way he was very proud of his younger brothers, as they were able to attend colleges and go on to stable careers. The way he preferred soccer to baseball (who wouldn’t?) 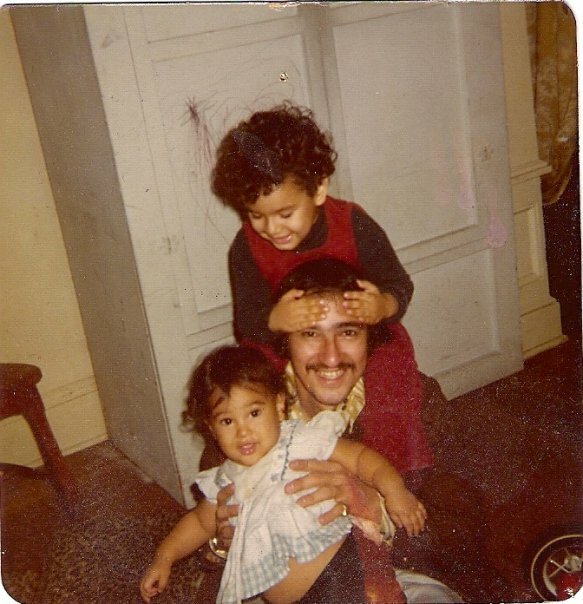 but because he had so much pride in having children born in the United States, he’d take us to Yankee games, and wanted us to speak to him in English as much as possible, so he could learn. The way he initiated conversations with strangers and quickly won them over with a sense of humor, or genuine interest in where they were from. It’s something I inherited. The way he never compared me to other girls or women, respected my choices (from my decision to get separated, and later divorce, to my more than one career changes), or pressured me to have children. The way he encouraged my love of travel. After all, it’s what he and my mother came to this country for: for us to do the things they couldn’t. The way he loved to dance at parties. This wasn’t limited to salsa, merengue, and I’ll never forget him asking me and my friend Marisol to get on the dance floor when they played a dance pop song at a Sweet 16 (I was mortified, at first; there was no one else on the dance floor!) and instantly having us laughing with his ‘pop’ dance moves. Mortification over. The way he’d lift weights at home, and cycling with his Peugeot 10-speed was always his favorite form of exercise. Getting us used bikes was a priority, and he always encouraged us to go for bike rides. 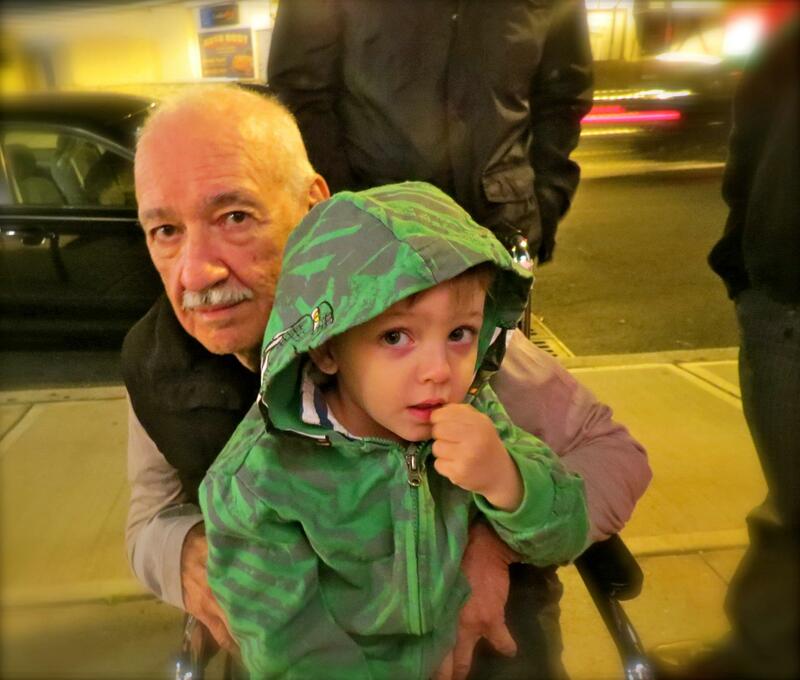 My dad and my nephew, RJ, at a birthday dinner we had in 2012. These are just a fraction of memories of my father and I love that writing the list brought many smiles to my face. I’ll always remember the day dad told me he thought something was “off” with him physically. He and I were eating breakfast at the kitchen table, and he actually looked scared — something rare for him, at least in my eyes. This is a man whom, ever since I was little girl, I’ve looked at as a larger-than-life personality with an appetite for hard work. He is a tough guy, a smooth talker, a brave man and an undeniable natural comic. It seemed his Parkinson’s progressed slowly at first. We have had such great laughs, and he’s enjoyed time with us, and with his grandson, RJ, who made him light up so many times. But as the years passed, he has became more of a prisoner in his own body. The way Parkinson’s affected his vocal chords is especially tough, as this is a man who loves to express himself. Nearly 17 years after he was diagnosed, this fall that fractured his hip, this one acute trauma—a common one for the elderly in this country—was enough to alter his status. This is not going to be easy for us, but, again, my main concern is that he is not in pain, and above all, comfortable. I’ve always heard the following advice from people who have lost parents: spend as much time with your parents as you can, because you will miss them when they are gone. It is true. I’m grateful that we have had so many good quality years with our father (and, of course, that my mother is as healthy as she is hardworking). But for those of you who live in other states or countries from you parents, this doesn’t mean you can’t do the same. Though I’ve always lived in close proximity to my parents, I feel that simply keeping them informed about your achievements, your adventures, or your travails, is important. This is the kind of thing that brings joy to my immigrant parents. And I know this from the many conversations I had with my dad early on in his Parkinson’s diagnosis. Parents want to know they’ve raised happy children. So tell your parents how much you love them, yes, but just tell them about your life. They’ll appreciate it. The answer was simple. All we could do was wait. On Tuesday, my 63-year-old father — the superhero of our family — underwent nearly seven and a half hours of Deep Brian Stimulation, or DBS, surgery in an attempt to slow down the progression of Parkinson’sdisease that he’s been living with for the past nine years. Parkinson’s is a neurodegenerative disease whose primary symptoms are tremor, rigidity, and postural instability. The tremors that once plagued my father have long passed. It’s the rigidity and postural instability that severely interfere with my parent’s quality of life — dad wakes mom nearly every two hours at night so that she can help him adjust himself in bed or take a trip to the bathroom. Almost one year ago, I dragged my parents to a support-group meeting for patients who have had DBS at Robert Wood Johnson. While the surgery does not cure the disease (there is no cure), it can help manage some of its symptoms and, hopefully, cut down on the amount of pills (25) that dad pops every day. My father, stubborn as always, wasn’t exactly thrilled to go to a support meeting an hour’s drive away from my parents’ home in Clifton. What he saw there, however, led us to that waiting room this week. People he thought were relatives of Parkinson’s sufferers began speaking about their recovery after the surgery, flooring my father with their varying degrees of composure. He was sold. That day, however, something was wrong. A slight but frequent tremor in his right arm, he said, scared him into avoiding the doctor. Eventually he went and found it was the beginning of Parkinson’s disease. So began a long and hard journey that included him having to retire early and, even worse, having to give up driving. A difficult part for me was how the natural charismatic expression on his face was replaced by a gaunt look — another symptom. On Tuesday, as my mother and I took a seat in one of Robert Wood Johnson’s waiting rooms, mom turned to me and said something that I’ve never given much thought to. And yet here we were, stuck waiting as surgeons performed a crainiotomy on my father. While the wait was tough, chatting with relatives of others in surgery was a positive experience. Surgeons said the operation was a success but that my father would have to work hard when he got home. And so with our help, he’ll work hard. Anything for our superhero. 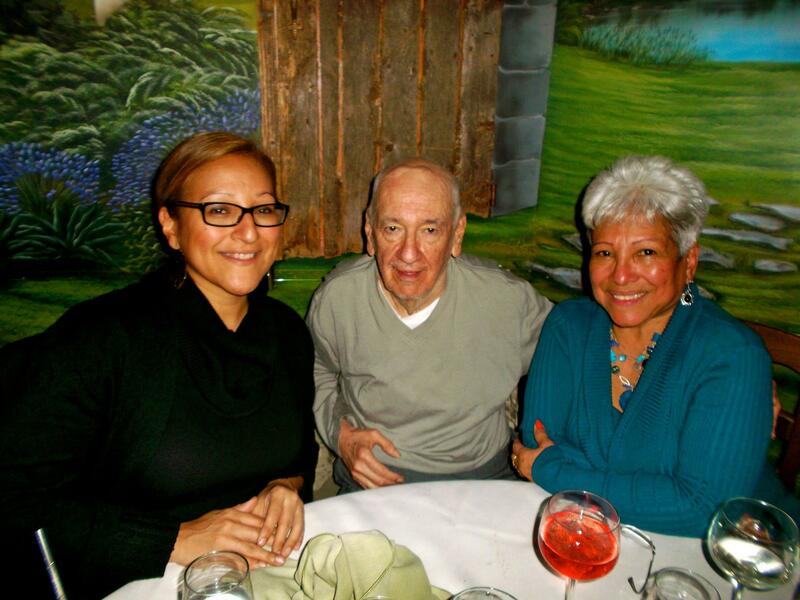 With my parents, Virgilio and Maria.